Nicki Minaj reportedly caused a fuss at the National Basketball Players Association Gala in Los Angeles on Saturday, after insisting photographers travel to her backstage area at the JW Marriott hotel because she didn’t want to take the escalator. A source told the New York Post newspaper: "There was a little drama... She had time before she was due to go onstage, but she couldn't be persuaded. “But the photographers and crews were desperate for her picture, so they all had to come upstairs and hustle backstage to get the shot. “Nicki was polite and posed up." It is not known if Nicki Minaj didn’t want to travel on the moving stairway because of a phobia or because of what she was wearing. 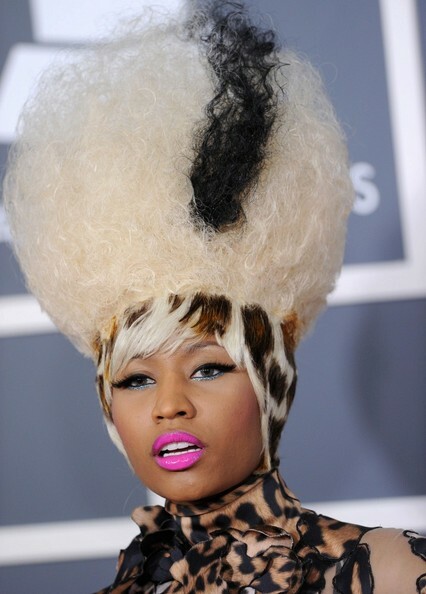 If she does have a fear of escalators, Nicki Minaj would not be the only star to have an unusual phobia. Actor Johnny Depp suffers from clourophobia, a fear of clowns, while Billy Bob Thornton has a phobia of antique furniture and Nicole Kidman has admitted to an irrational fear of butterflies. At the Gala on Saturday, Nicki’s friend Rihanna performed, while other A-list stars in attendance included Beyonce and her husband, Jay-Z, Justin Bieber, P. Diddy, Stevie Wonder, Bruno Mars, Ne-Yo, Gene Simmons and Steven Tyler.